1 hr, 6 hr, 12 hr), start-date/time, and desired temperature units (°C or °F). Data can then be graphed, printed and exported to other applications such as Excel. 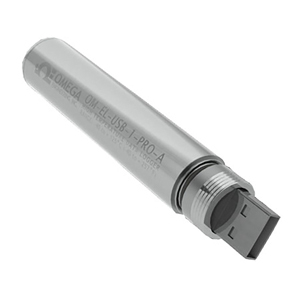 The data logger comes complete with a high capacity long-life lithium battery. 참고: Comes complete with Windows software on CD-ROM, USB cable, and 2/3 AA 3.6V lithium battery.